The separatist “Lugansk people’s republic” in eastern Ukraine is using 5000 prisoners as slave labour, a report by local human rights campaigners says. sentenced and jailed by the Ukrainian court system, which the “people’s republic” – established in May 2014 by armed separatists supported by Russia – does not recognise. The prisoners are forced to work by violence, and the profits from what they produce shared by the “republic”s authorities, the report, published last week by the Eastern Human Rights Group (EHRG), says. (Here in Russian.) The group emerged from trade union organising activity, and has campaigned for workers’ rights, both in Ukrainian-controlled territory and under the separatists’ rule. Prisoners who refuse to work are first placed in solitary confinement for 15 days, then denied visits and parcels from their families, and finally beaten and tortured. The EHRG report includes interviews with prisoners who, when they refused to work, were severely beaten by armed, masked men; kept in solitary confinement with no food or water for three days; and forced by the threat of beating to stand 8-10 hours in burning sun. In cases where prisoners have protested collectively, guards have called special detachments from the “republic”s internal affairs ministry to attack them. The prisoners work in joinery and metalworking shops, food processing and other small production units. Some do odd jobs from repairs, kitchen work etc. Some are paid five cigarettes per day, most are paid nothing. The EHRG estimates, based on information from former prison officers and others, that revenues from products made by prisoners total about $3-500,000 per month. They are appropriated by the leaders of the “people’s republic”. The Ukrainian prison system was frightful enough before the Maidan events of 2013-14 that triggered the military conflict in the east. Torture and brutal treatment were common, badly-trained staff lorded it over prisoners and there were very high levels of AIDS and other diseases. On the other hand, work was paid, and there had been efforts at reform. 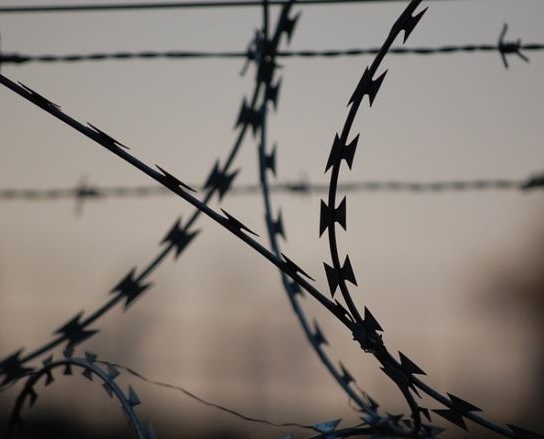 It is war that has taken the Lugansk prisoners’ situation from bad to worse. Like another 8-9000 detainees in the Donetsk “people’s republic”, they have no way of knowing if or when they will be released (see report by a Russian journalist here). by huge quantities of weaponry and volunteers that have poured over the border from Russia – that has cheapened human life, and made torture, murder and forced disappearances the norm. ■ A report by the International Partnership on Human Rights detailing seven murders, 15 enforced disappearances, 90 cases of illegal detention, 36 cases of torture and other mistreatment by the authorities in Crimea, which in 2014 was annexed by Russia. The report says that repression is directed particularly against the Crimean Tatar community, whose organisations largely opposed the annexation. ■ A report on killings by all armed forces in the conflict by the UN Human Rights commissioner. While civil society activists in eastern Ukraine endeavour to expose torture, slave labour and other such separatist “achievements”, those in Kyiv face a government that does little to conceal its contempt for its citizens who have been displaced to other parts of Ukraine by the conflict. Internal affairs minister Arsen Avakov last week said that “refugee-migrants” from eastern regions to other parts of Ukraine was “sharpening the criminality situation”. A group of activists and human rights campaigners, including Vostok-SOS and others who are supporting people who have fled the conflict zone, shot back that Avakov had no evidence that criminality was worse among internally displaced people (IDPs) – of which there are now an estimated 1.7 million. Furthermore, calling people “refugees” in their own country was a sign of Avakov’s “lack of professionalism” or “ignorance”, the activists’ statement said. They were putting it very politely. In my view, Avakov was trying to stir prejudices between western and eastern Ukrainians – whereas, as the activists pointed out, all the evidence about worsening crime statistics suggests that they are linked to Ukraine’s social and economic crisis. That in turn has been aggravated by Russian support for separatist militarism. ■ Here’s a thought for socialists elsewhere trying to follow the situation in Ukraine. In 2014, when the Yanukovich government was overthrown and Russia helped to turn the conflict in eastern Ukraine into a war, I published articles on this site disputing the idea that the separatists, and/or the Russian state and armed gangs that supported them, were somehow furthering “anti-fascist” or “anti-imperialist” ends. (For example here, hereand here.) Some people who made such ludicrous claims were less interested in what was actually happening in Ukraine, and more interested in feeding some sort of geo-political fantasy in their heads. They are probably off somewhere now talking about the “fight against imperialism” in Syria. Well, reality is harsh. 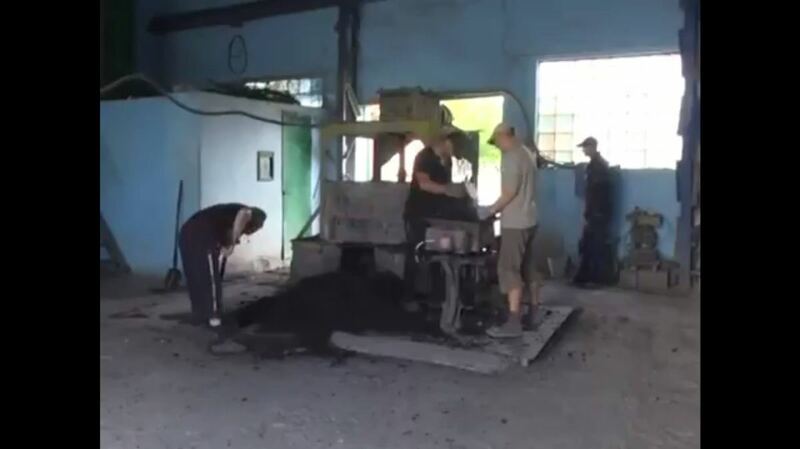 What has been “gained” by the separatist actions in Ukraine, and the heavy weapons and other support provided from Russia, is clear: slave labour, torture and arbitrary violence. The activists trying to piece together civil society and the workers’ movement in Ukraine deal with this every day. The least people elsewhere can do is to try more honestly to understand what’s going on. GL, 4 October 2016.